Highest Certified by CGC! 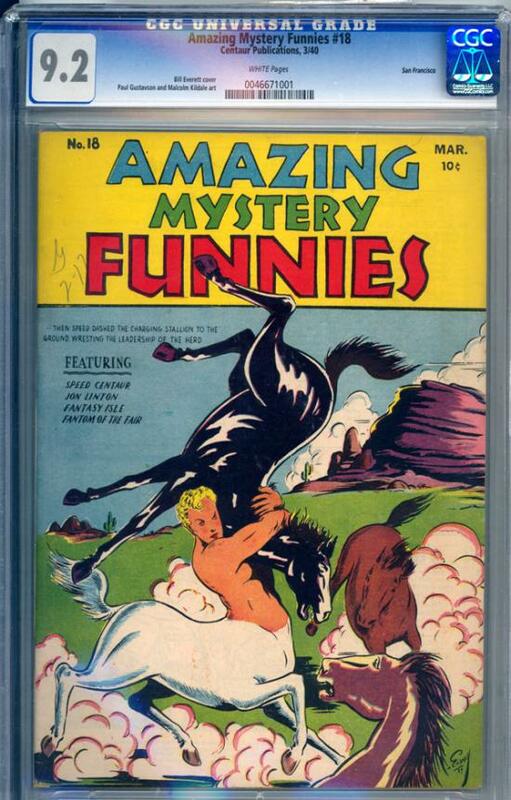 This the earliest known of all comics from the fabled "San Francisco" pedigreed collection! This super-rare comic contains a Fantom of the Fair story with art by Paul Gustavson and a Speed Centaur cover and story art by Bill Everett. Truly a rare gem, this book presents a terrific investment opportunity. It has gorgeous cover colors and gloss and awesome, like-new pages!